This Is the Police 2 was developed by Weappy Studios and published by THQ Nordic. It was released on 31st July for the PC and will be coming to the PS4, Xbox One and Switch on September 25th, THQ Nordic have confirmed. Welcome to Sharpwood, where the grass certainly isn’t green, and the local populace don’t make things easy. 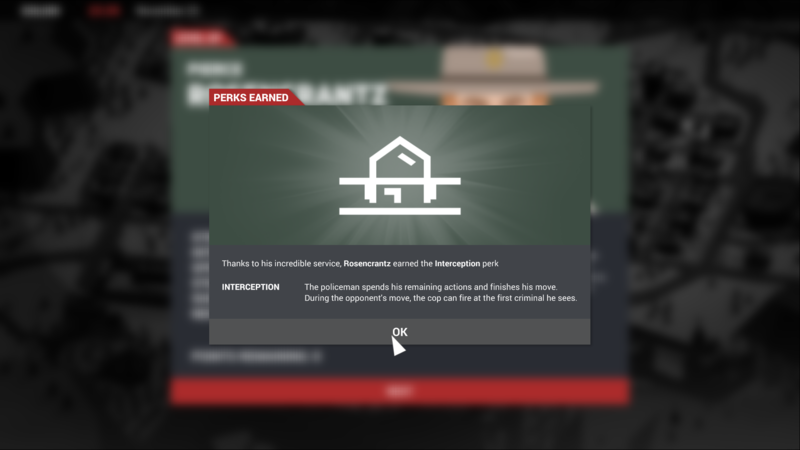 In This Is the Police 2, you are charged with keeping the peace. Do you play by the rules and keep everyone in line by upholding the law? Or do you go the other route and get the job done by nefarious means? Every action has a reaction, so be warned that if you decide to take the law into your own hands, you could end up behind bars yourself. You play as Sheriff Lilly Reed (voiced by Sarah Hamilton from The Longest Journey saga) who is tasked with running the police department of Sharpwood. She is surrounded by men who do not respect her as she is so young compared to the town’s previous sheriff. But, that all changes when a mysterious stranger arrives in the town, a Mr. Warren Nash (voiced by John St. John, a.k.a the voice of Duke Nukem). The two strike up a working relationship that sees big changes come to Sharpwood’s police department, for better of for worse. This is where you come in. You play as both Lilly Reed and Warren Nash in this story-driven roller coaster of intrigue, corruption and law enforcement. Your day-to-day tasks range from running the department with time managing skills to responding to call outs from the community. These all range from elderly civilians having trouble at the bank to disgruntled ex-employees of businesses in the town taking revenge on their former employers. It is your task to respond to these calls by sending officers from your precinct to deal with the day-to-day chaos in Sharpwood. However, nothing is that simple, and every officer is not just a resource for you to use. They all have their own problems to deal with, and it is up to you how you deal with them. Some may have hit the booze a bit too hard the night before and can’t make it into work, which puts a strain on your already thinly deployed officers. Some officers have very strong opinions about working with certain people and will refuse to co-operate when selecting them for call outs together. If you don’t keep an eye on who’s who and who works well with others, you could end up with a squad of people who are loathe to be in the same squad car, nevermind working together on a case. Whilst on call, your officers earn points on every successful call out they complete, thus earning them more abilities to use whilst out in the field. These will improve over time and will help to diffuse certain situations before they become too hard to handle. But if your officers are not well equipped and well trained enough to deal with the situations they find themselves in, things can go from bad to worse in the blink of an eye, thus causing ripple effects for you at the end of each day. If too many bad things happen, you lose the trust of your officers and they become less obedient in the future, making your job even harder. However, if you do a good job, you’ll get rewarded with gifts from the community. But these gifts can be anything from humble canned peaches to mystery boxes of questionable origin. Stockpile too many of them, and your officers will get suspicious of these “packages”, causing more headaches for your day-to-day running of the department. At the end of every shift, you earn caps that can be used to buy better gear and hire more officers to add to your roster, hopefully making your life easier. But if you did a bad day’s work, i.e., let criminals and offenders get away, they get deducted; and even worse, if a civilian dies, you get heavily penalised for not being able to uphold the law. Even though the management aspect of this title is a big part of the gameplay experience, it’s not all this game has to offer. 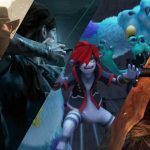 There are other elements that bring the story to life through use of cutscenes that look like they are from a beautifully crafted visual novel. 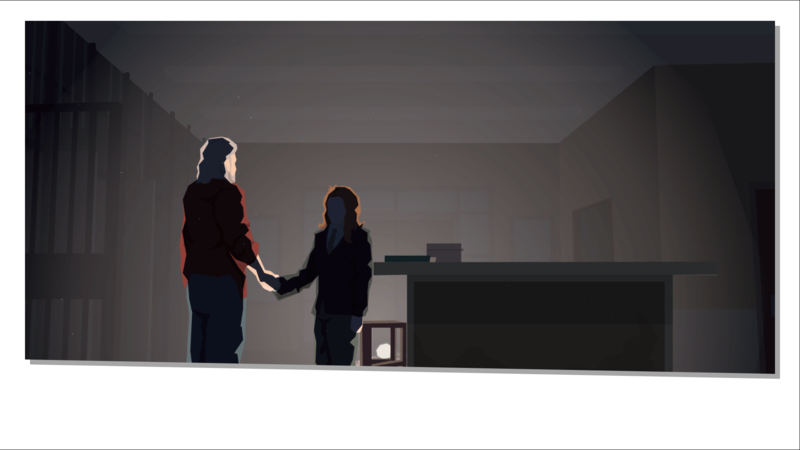 Graphic storyboards flesh out key story points that truly immerse you in the story, as well as the puzzles that need to be solved in the form of investigations where your officers find clues, and it is your job to bring the guilty suspects to justice. 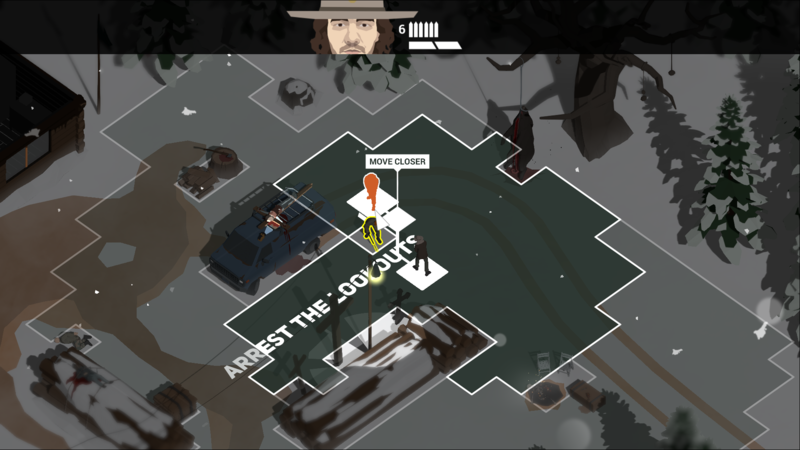 A nice touch that the developers have added to this title are the XCOM-style scenarios in which you assemble your officers to help bring down criminals in a suspense-driven, tactical shootout. 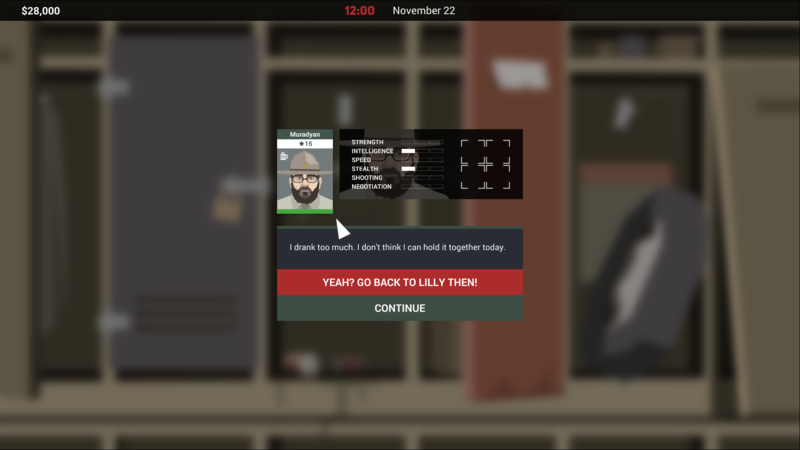 These scenarios range from stopping suspects in post offices to armed criminals in a factory loaded with dynamite and threatening the civilians within. Every one is different and requires different skill sets to complete each successfully. But, how you go about completing them is, again, your call. Sure, you can take a suspect down by incapacitating them, but what if, let’s say by accident, your gun ‘misfired’ to take a suspect down for good, letting you complete your objective sooner? However, what repercussions come from such actions is something you’ll find out later down the line. As the saying goes, keep your friends close but your enemies closer. 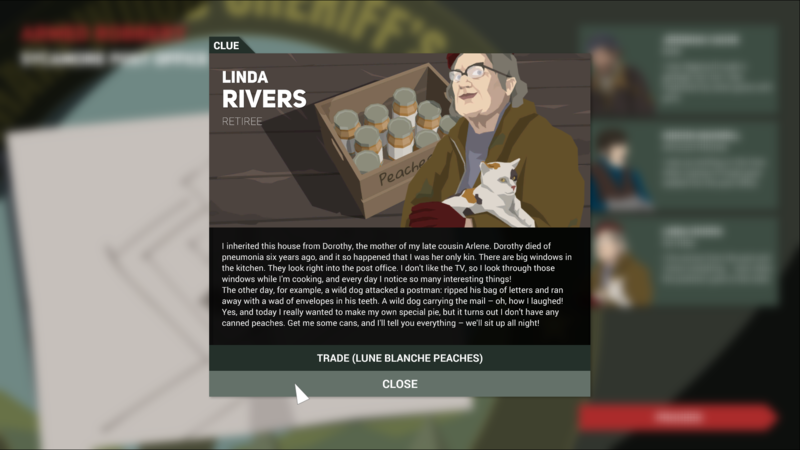 No one is innocent in this game, every person is a different shade of grey, and the line between justice and corruption blurs almost seamlessly as you navigate the story set before you. This core narrative of the story is driven home by the cutscenes in which you learn more about your main characters’ backgrounds, how they came to be in their current situations and how it all ties together. There are, however, some bad points that need to be addressed, like the lack of a manual save feature, which means there are only auto-saves at the end of every day. I can see where the developer went with this, but if you’re anything like me, then you likely tend to agonise over every detail; when something doesn’t go right for me, I would have liked the option to have a manual save feature to reload and try again from the point of saving. Also, when playing the game, if for some reason you have a squad of officers who don’t quite seem to get along, I would have liked a visual indicator for how each officer interacts with other officers so I can see in real time who works well together and who doesn’t. I found this rather annoying when trying to complete call outs and my options are cut in half because of their personal grudges. But taking all points into consideration, these flaws are minor when laid out against the backdrop of a truly wonderful game whose story, varying mechanics and strong narrative all come together with a noir-style story that leaves your moral compass guessing which way to guide you. 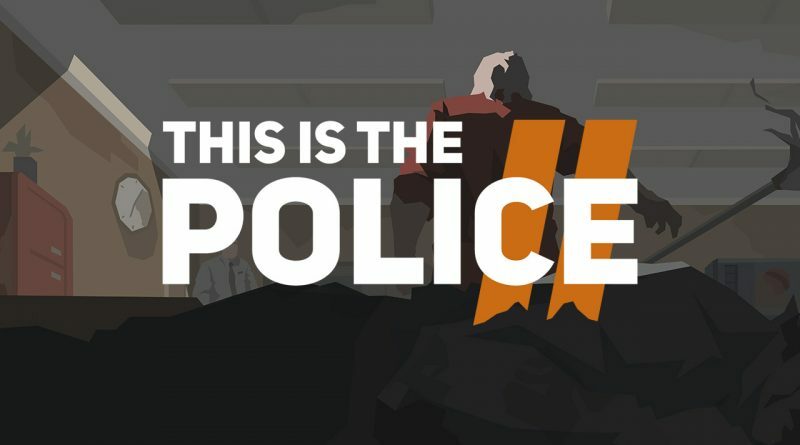 This Is the Police 2 has a well thought out story which is explored through the use of many different styles of gameplay. 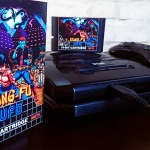 This helps bring the player into a world of intrigue, corruption and law enforcement all set against a backdrop of well designed cutscenes and storyboard visuals that are reminiscent of a noir-style graphic novel. A thoroughly enjoyable experience from start to finish.